Your gift card number will be emailed to you, please make sure you have a valid email address. The card number will expire after 1 year. Please do not lose this number. We do not mail out a physical gift card. Your gift card number will be emailed to you, please make sure you have a valid email address. The card number will expire after 1 year. Please do not lose this number. 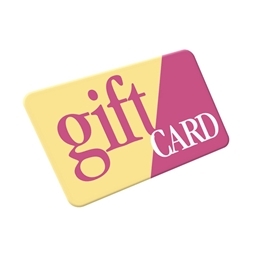 We do not mail out a physical gift card but we can send a gift certificate instead. The Gift Card number is very long, so hold on to the email. Your gift card number will be emailed to you, please make sure you have a valid email address. The card number will expire after 1 year. Please do not lose this number. We do not mail out a physical gift card but we can send a gift certificate instead. The Gift Card number is very long, so hold on to the email..